Few analysts anticipate sales this year will reach 17 million vehicles, which was just achieved for a third-straight year and only the fifth time in history. As automakers seal their first annual US sales decline since 2009, expectations for more interest-rate hikes are bolstering the nearly unanimous view that car demand will shrink again in 2018. 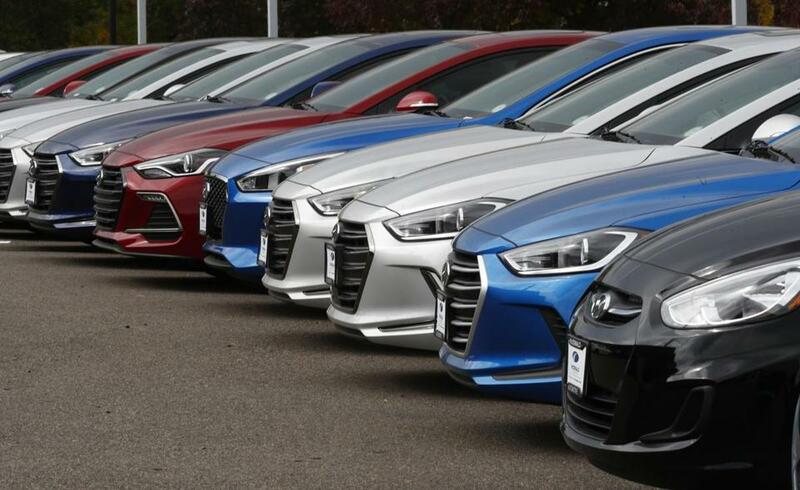 Few analysts anticipate sales this year will reach 17 million vehicles, which was just achieved for a third-straight year and only the fifth time in history. The Federal Reserve forecasts three rate hikes this year, crimping the free-flowing credit that’s helped fuel a record streak of demand growth that’s come to an end. The central bank, which raised rates three times in 2017, raises interest rates to keep the economy from overheating and leading to high inflation. For consumers, those protective measures make it more expensive to take on new car loans or leases. ‘‘The monthly payment matters,’’ said Jonathan Smoke, Cox’s chief economist. ‘‘When rates rise, many consumers do not have an option to pay more. We believe higher rates have already led the automotive market to see some shift’’ toward used-vehicle purchases instead of new ones. The final tally for 2017 industry deliveries will be reported Wednesday when automakers announce December results. Analysts project that all major carmakers will report declines compared with the blowout final month of 2016, which benefited from an extra selling day. Industrywide, December sales probably ran at about a 17.7 million annualized rate, analysts estimated in a Bloomberg News survey. That would be down from the nearly 18.2 million pace logged the previous December but still among the top months of the year. With a record-high stock market and low unemployment, the Federal Open Market Committee is expected to stay the course and keep raising rates slowly as the chairmanship passes to Jay Powell from Janet Yellen this year. A quarter-point increase in interest rates typically adds $8 to $20 to the monthly payment on a new vehicle, according to Ivan Drury, senior analyst with car-shopping website Edmunds. Throw a handful of those at a consumer this year and the higher payments could lead shoppers to give up options like heated seats and satellite radio, or move down in vehicle size, pinching automaker profits. Still, interest rates are considerably lower than in 2000 and 2001, the only other period that annual US sales topped 17 million, Drury said. At that time, typical auto loan rates were in the range of 6 or 7 percent, compared with about 4 percent now, he said. Borrowing costs are just one part of a mixed policy outlook for the US auto market. Carmakers have warned the Trump administration’s approach to renegotiating NAFTA could increase costs. On the other hand, the companies have thanked the president for reinstating a review of fuel economy standards that could be weakened to cut lucrative trucks and SUVs some slack. The tax bill President Trump signed last month also could help offset the interest rate hikes expected this year by prolonging an era of consumers opting to buy new instead of used cars, Cox’s Smoke said. ‘‘It’s going to postpone the pain of ‘I want a better vehicle’ and give us another year of trucks and SUVs and luxury cars capturing more growth,’’ he said.